Lawmakers in several US states are considering proposals to change to how Electoral College votes are allocated, after Republican Donald Trump won the presidency even though Democrat Hillary Clinton won almost 3 million more votes. Proponents of the National Popular Vote (NPV) reportedly dominated the public hearing on Wednesday in Hartford, Connecticut, dedicated to proposals that would have the New England state join the interstate compact to allocate their Electoral College votes to whichever candidate won the most votes nationally. Connecticut Governor Daniel P. Malloy and his deputy Nancy Wyman have come out in favor of the compact. Connecticut has a population of 3.5 million and seven electoral votes. Both Malloy and Wyman are Democrats, as are the state’s two senators and five representatives in the US House. After Democrat Al Gore won the popular vote but lost the Electoral College to Republican George W. Bush in 2000 – due to a controversial US Supreme Court decision to halt the recount of disputed votes in Florida – several university professors proposed an interstate compact that would allocate electors to the national popular vote winner. Maryland was the first state to enter the compact in 2007, and the most recent state to sign on was New York in 2014. As of January 2017, the compact includes California, Hawaii, Illinois, Maryland, Massachusetts, New Jersey, New York, Rhode Island, Vermont, Washington and the District of Columbia. They account for 165 electoral votes of the 270 needed for the arrangement to come into effect. All eleven members are solid “blue” or Democrat majority states. No “red” states have joined the compact yet, though a few Republican lawmakers have indicated support for the reform over the past decade. 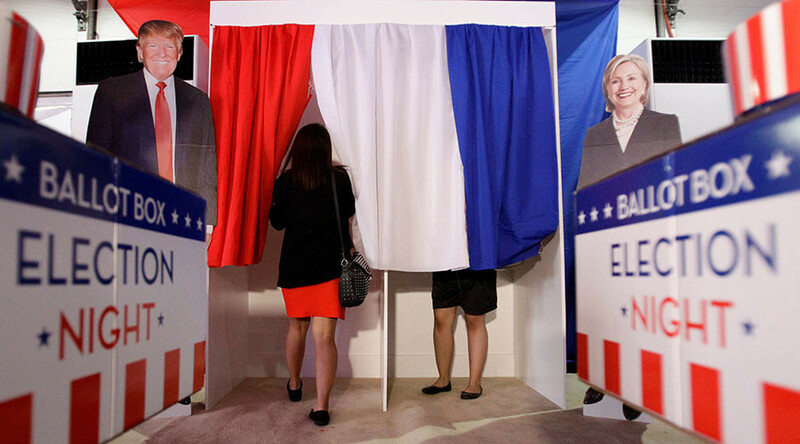 Critics have argued that favoring the national popular vote would diminish the influence of smaller states – such as Connecticut – in favor of big states such as California, and favor the densely populated urban areas dominated by Democrats. Several other state legislatures are considering proposals to join the compact. In Colorado, another “blue” state that went to Clinton in November, the proposal was blocked by a 3-2 vote in the Senate State, Veterans, & Military Affairs committee. The Electoral College was established by the US Constitution in 1789. Under Article II, Section 1, Clause 2, each state legislature needs to define a method of allocating its electoral votes. Currently, most states allocate their electors to whichever candidate gets the majority of votes in that particular state. Two states – Maine and Nebraska – take into consideration winners in their congressional districts as well, allowing for a split vote.